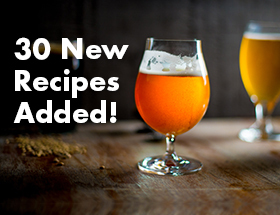 This beerecipe was taken from the book Session Beers: Brewing for Flavor and Balance by Jennifer Talley. 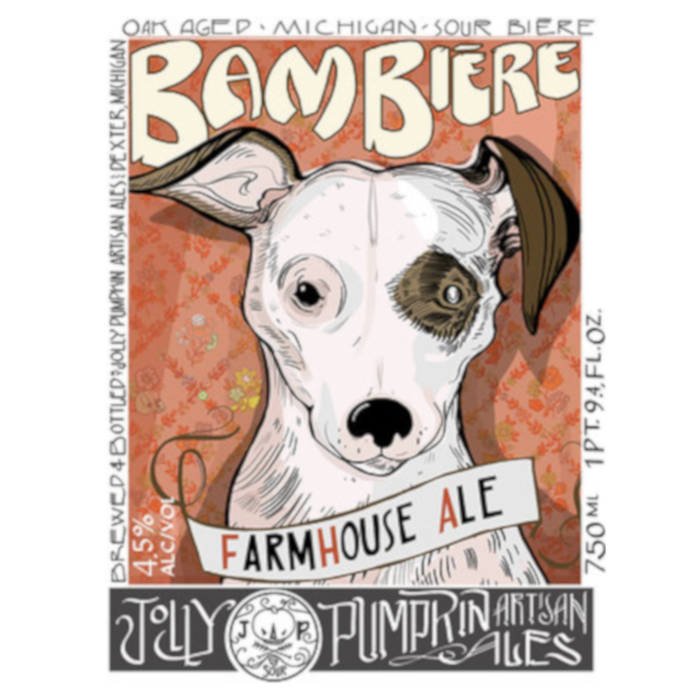 Jolly Pumpkin‘s farmhouse ale is named for it’s Jack Russell, who after being struck by a car bounced back in tenacious Jack Russell fashion. It’s golden, naturally cloudy, bottle conditioned and dry hopped for a perfect flavor balance. Produced with a cultured abbey ale yeast, this beer also benefits from a mixed fermentation of a house wild culture, most likely including Brettanomyces and various Lactobacillus strains. 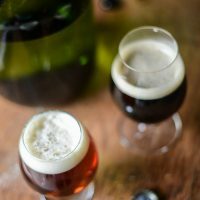 Using the bottle dregs from a Bam Biére to inspire a secondary fermentation in a small oak barrel is probably the best way to recreate this beer at home. 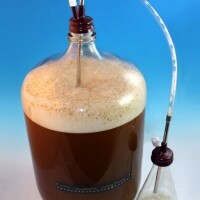 The other option is to purchase a mixed culture packet and some oak cubes or spirals and add to the secondary carboy after primary fermentation. Mash 147-149° F (64-65° C). Free rise temperature to 80° F (27° C) and above, do not control temperature during fermentation. Step down to 50-55° F (10-13° C) once fermentation is complete. Bottle condition to high carb levels. Heavy glass bottles must be used, such as a champagne bottle, to protect from explosion. The safer option is to keg the beer in a corny keg. 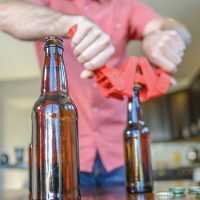 To dispense the beer properly, higher amounts of C02 will be needed to drwa the beer out to limit excessive foaming.